The FreeClimber 4600PT features Stairmaster’s patented independent soft pedals. Its larger pedals provide maximum stepping comfort, while also improving a user’s posture throughout their workout. Its upgraded blue face console incorporates a digital heart rate monitoring system, a built in entertainment system, and an accessory tray and reading rack. 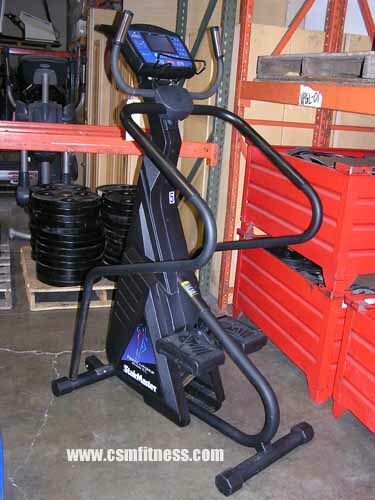 The 4600PT offers 20 levels or resistances, 6 pre-programmed workouts, and a maximum speed range of 174 ft/min. Additionally, its space efficient upright design allows this stepper to accommodates users in both a commercial and home environment.